Diamond Preserved Foods Ltd. is a manufacturer of a range of sumptuous condiments and sauces in Thailand. We’ve successfully served our customers for over 6 years, distributing our products nationwide. We continue to adhere to our heritage of producing and distributing quality vinegars but have since added sweet chili sauce, chili sauce, oyster sauce, sushi rice seasoning and Mirin in response to customer demand. Expanding our mission of fulfilling our customer’s goals to both delight and respond to changing consumer tastes, we offer outsourcing solutions for customisable formulas of sauces and condiments. 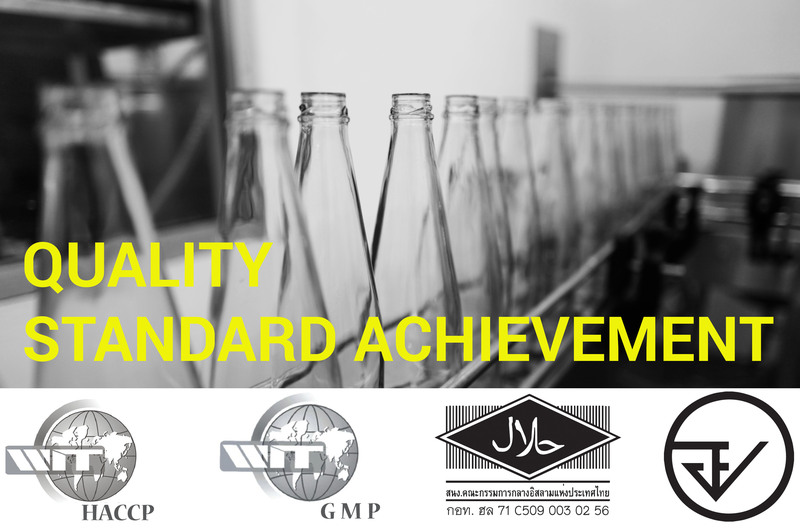 As a certified GMP, HACCP and BRC manufacturer, we comply with international standards of quality and safety. Our facilities fulfill the conditions for HALAL standard products. บริษัท Diamond preserved food จำกัด ดำเนินธุรกิจ ผลิตและจำหน่าย เครื่องปรุงรสอาหาร คุณภาพมาตรฐาน หลากหลายชนิด ภายใต้แบรนด์ชั้นนำของลูกค้า ด้วยรสชาติที่หลากหลาย อาทิเช่น vinegar, rice vinegar, sweet chilli sauce, chilli sauce, oyster sauce, sukiyaki, ซอสญี่ปุ่นต่างๆ เช่น Sushi rice seasoning, Mirin เป็นต้น บริษัท ไดมอนด์ พรีเสิร์ฟ ฟู้ดส์ มุ่งเน้น สร้างความพึงพอใจสูงสุดแก่ลูกค้า ด้วยการส่งมอบผลิตภัณฑ์ที่มีคุณภาพ สะอาด ปลอดภัย ด้วยความซื่อสัตย์ จริงใจ และตรงต่อเวลา พร้อมระบบรับรองคุณภาพมาตรฐานสากล GMP, HACCP, HALAL, BRC etc.